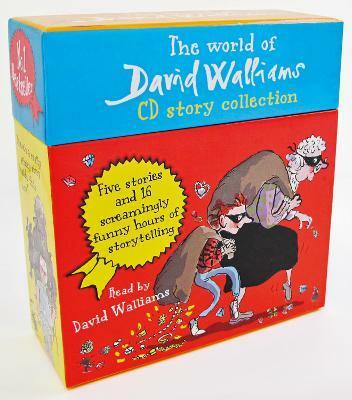 Five screamingly funny stories from number one bestselling children's author David Walliams, in this big, bumper CD boxset, performed by the King of Comedy himself. GANGSTA GRANNY - Like most grannies, Ben's has white hair, false teeth... and is an international jewel thief too! RATBURGER - Can Zoe keep her beloved pet rat safe from the clutches of dastardly Burt of Burt's Burgers and his dubious burger-making machine? David's books have now exceeded 100 non-consecutive weeks in the children's number-one spot, and have been translated into 50 languages, selling more than 22 million copies worldwide.